It wouldn't be a celebration of Nine Lives without actually seeing the film. Welcome to Why Is Kevin Spacey A Cat? Week, a celebration of the film Nine Lives, being released this Wednesday. 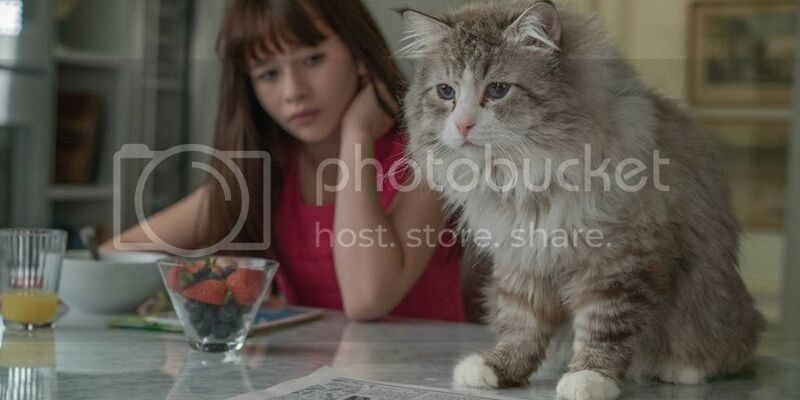 A celebration and yet also a pondering because, really, why is Kevin Spacey a cat? Nine Lives. Nine Lives. Nine Lives. Where do I even begin. Somehow, even after typing the title three times in a row, I still don’t feel prepared to share my thoughts on the film. I’m pretty sure it was terrible. I mean, the film is essentially about a crazy cat man who turns people he deems “bad” into cats to teach them lessons and if they don’t learn their lesson in time THEIR HUMAN BODY DIES AND THEY STAY A MOTHER F**KING CAT FOREVER. So, you know, it’s absolutely absurd (and maybe a bit dark?). But also I enjoyed every second of that absurdity. You probably already know that Kevin Spacey plays the cat. Or is it that the cat plays Kevin Spacey? Interesting. The film also stars Jennifer Garner, Christopher Walken (aforementioned crazy cat man), and Cheryl Hines, and is directed by Barry Sonnenfeld (Men in Black). Maybe it is because I am an adult that I want to know how things work. Boring. But, okay, how did crazy cat man Christopher Walken obtain this power? Is HE the magic one, or is it the cats? It seems like he is the magic one. Let me back up a bit: Kevin Spacey plays a man—a glorious businessman who is building a giant skyscraper. Except he’s way too business and not enough family and it’s taking its toll. After skydiving into a press conference (how business), he holds a board meeting to discuss what he should get his daughter for her birthday (even more business) because he promised his wife he would try. She wants a cat but he wants other options. The board tosses out: a pony, a plush cat, just get a real cat. At least two of the board members should be fired immediately but he goes off to find a cat instead. He’s in a rush and already late to the party. His GPS glitches (or is it magic Christopher Walken??) and he end up at Purrkins Pets. He doesn’t pick out the cat because cats always pick you out. Or something. And he’s about to leave with the cat but his phone rings and Christopher Walken is all “you might regret taking that call; you don’t want to be late." Kevin Spacey is all “PFFT” and takes that damn call and then he goes to his office building (uhoh, even more late now) and one thing leads to another and he falls off the top of the building (so late now). These this happen, you know. He doesn’t fall all the way but he DOES wake up in the body of the cat (Kev Kat™) whilst his human body is in a coma (Koma Kev™) and taken to the hospital. To everyone else, Kev Kat sounds like a regular cat. He can, however, communicate with Christopher Walken, who calls himself the Cat Whisperer. So, how. How, dammit. Was he born with these powers? What gives him the right to pick and chose who gets turned into a cat?! Where does he get the cats from? DID ANYONE ASK THE CATS IF THEY WANTED TO BE A PART OF THIS? Also, what happens to the cat souls? Are they in the human coma bodies? If so, that’s cruel, dude. Screw the human actors, this film is full of famous cat cameos! 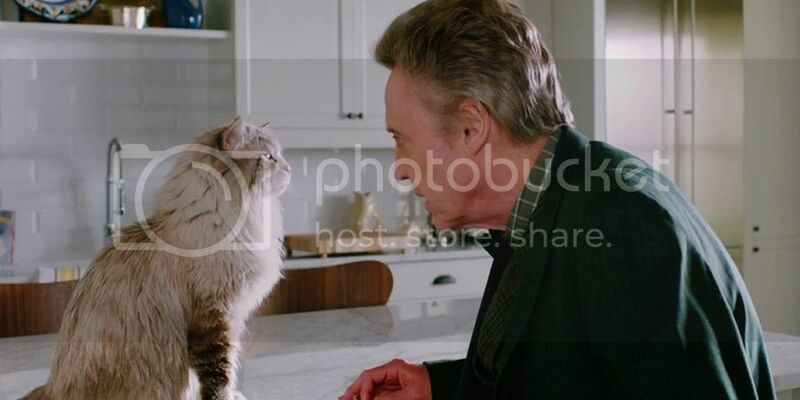 Christopher Walken doesn’t use any old cats for his omnipotent meddling. Nah, he uses internet cats. Only the best, right. Lil BUB, Waffles, Pudge, Hamilton the Hipster Cat, and Henri le Chat Noir all appear in this film. I guess Grumpy Cat was too busy. Diva. Kev Kat gets up to a lot of antics in this film, like trying to write a letter to his family, peeing in handbags, dancing, parkour… Obviously a real cat couldn’t do all of these things so CGI was employed. Despite this, there were still a surprising amount of practical cat tricks throughout the film. Apparently five cats were used to play Kev Kat (I imagine because cats are kind of finicky when it comes to training there was likely a sitting cat, running cat, standing cat, lying down cat, cat that was okay with being held, etc). And they are all glorious beasts (Norwegian Forest cats, FYI). For example, it is a CGI cat who unstops a decanter of scotch (Kev Kat is an alcoholic, ‘natch), but it is a real cat who tips it so it pours into a dish. It is also a real cat who wakes up, upside-down in a corner, to Jennifer Garner asking “rough night?” as if it’s totally normal the cat spent the night tossing back scotch. Christopher Walken tells Kev Kat he needs to learn his lesson to be turned back into a human but Kev Kat is determined to drink all the scotch instead. So Christopher Walken does what any good Cat Whisperer would do: he threatens to get Kev Kat fixed if he doesn’t behave. If you witness anything before you die, please make sure it’s Kevin Spacey freaking out about having his cat testicles removed. IS THIS A GOOD DATE FILM? I would say “no” only because it only plays during the day and the screening would be full of children and parents. Although seeing it with the target audience is fun because they are all laughing at the cat antics and you can’t help but also laugh along. I think if Nine Lives came out at the same time all the other amazing animal films of yesteryear (the late nineties), it would’ve been more warmly received. It was just the wrong time for Kev Kat. Sorry, Kev Kat. This film is fun, absurd, and full of cats. What more could you want? I leave you with this final thought: director Barry Sonnenfeld is not only allergic to cats but also hates them. He was quoted as saying “cats are not what you would call loving animals,” (false) and “cats don’t care about love” (lies). So, would this film be any different if it had been made by a cat lover who understands the deep, complex emotions of a cat? Hm. Food for thought. This has been Why Is Kevin Spacey A Cat? Week. (Also, I have no idea why he was a cat. How would I know. Maybe he likes cats or wanted a fun break from House of Cards.) PEACE, YO. What week should I produce next? Get at me: @sharnacious.